In Freedom Houses’s new report “Freedom of the Press 2017: Press Freedom’s Dark Horizons,” 13 is the magic number. 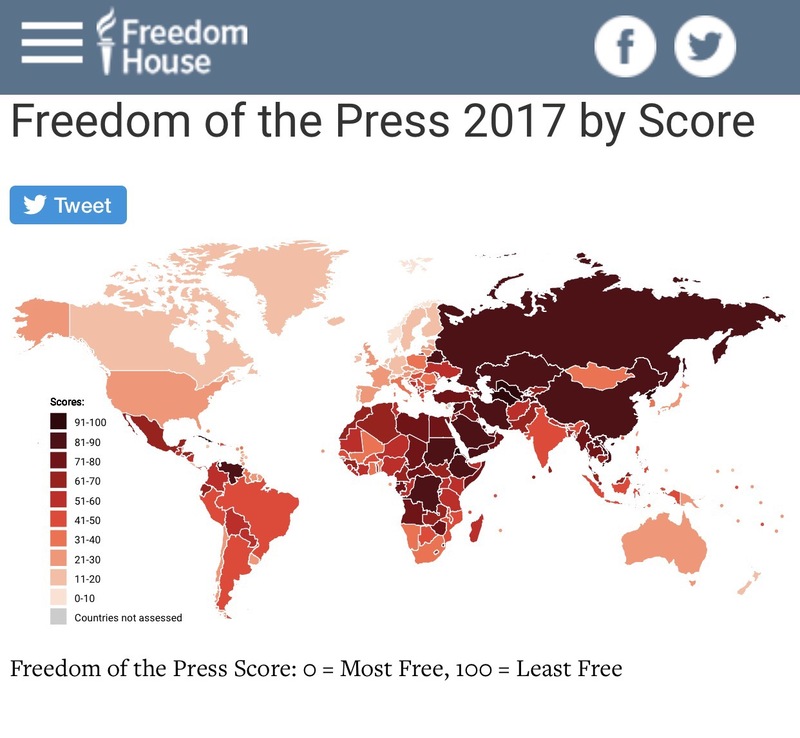 That’s the meager percentage of the world population that currently lives in a country where the press is classified as “Free.” The report also deems press freedom to be at its lowest level worldwide in 13 years. Sixty-six countries were designated as “Not Free,” in the report, with North Korea and Turkmenistan the worst. Vietnam, China, Myanmar, Laos, and Cambodia were all designated as “Not Free.” Positive changes have taken place incrementally in some countries, including Afghanistan, Panama, and Sri Lanka. The report highlights shifting dynamics between the press and politics, as well as media and citizens, throughout the world, citing examples of pre-election communication blackouts in Asia, the Middle East, and North Africa and backlash from US President Trump over the role of the media in monitoring government. Attacks on the press have been seen in both authoritarian and democratic regimes in 2016 and 2017, some in physical form, others in legislative or verbal. The message of this report rings clear: press freedom is under threat, in many places, and from many sources. Cambodia, Myanmar, and the Philippines all landed on the “Countries to Watch” list, with concerns over the upcoming Cambodian election, mounting legislative and human rights pressure in Myanmar, and the ongoing anti-drug war led by Duterte in the Philippines. Across Asia, countries invoked existing laws or created new measures and means to control content and actions viewed as disagreeable or threatening to the state in some way. In Vietnam, a ban on the use of hidden video and audio recording devices was proposed, but it was later withdrawn. Opponents also used tactics like spying and forced exile, widening the traditional tool kit used to suppress free expression. These tactics have been long used in Vietnam as a way to sideline criticism from bloggers, journalists, and other activists. In January 2017, Catholic activist and blogger Dang Xuan Dieu was released from a 13-year prison sentence but immediately forced into exile to France. Travel is also often restricted, as exemplified by the activists who were blocked from meeting with US diplomat John Kerry in January 2017. Bloggers, journalists, activists, and protestors also face attacks by police or their affiliates at home or in public. 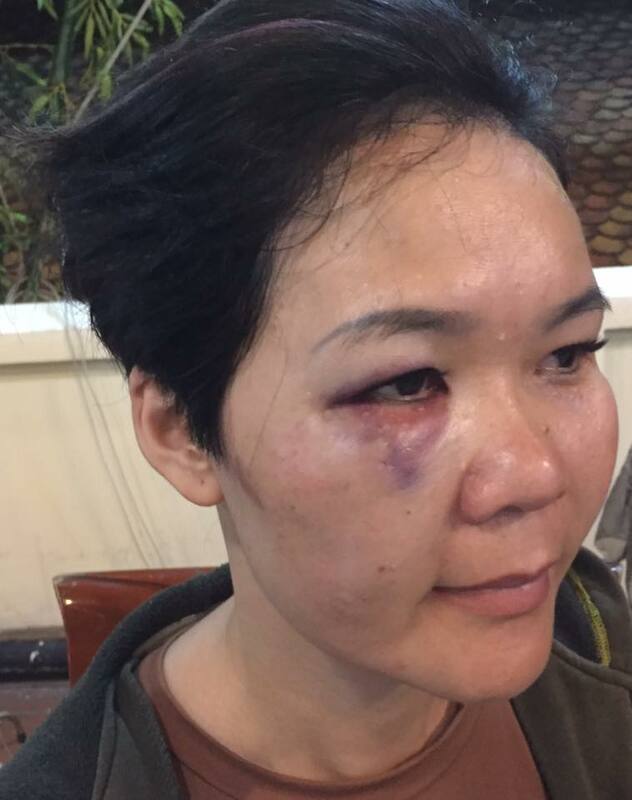 Environmental activist Le My Hanh and her friends were attacked this week at a private home. The general trends seen in Vietnam, in Asia, and in many other parts of the world are troubling for the state of human rights worldwide. Other recent reports have also highlighted additional, specific issues in Vietnam, such as its 429 death penalty executions from August 2013-June 2016 and continued concerns for freedom of religion. In its 2017 World Press Freedom Index, Reporters Without Borders ranked Vietnam 175/180, the same as in 2016. Activists depend on a free press to share their messages and advocate for support. Striving to make their voices heard, they are often targets of arrests, intimidation, violence, and other life-altering abuses. These various reports combine to illustrate a dangerous and dismal situation for media, human rights activists, and their communities worldwide. As 2017 continues, and as the world faces pivotal elections and regional tensions, much is at stake if free press is suppressed.